VoyageATL - July 25, 2017 - Julie McKevitt along with Paint Love was featured in ATL's Most Inpsiring Stories. Read the article here. "Julie McKevitt explains how PAINT LOVE helps kids & artists build better lives. HUNTER CALLAHAN tells why Eddie's Attic is one of Atlanta's great songwriting meccas. Bem Joiner knows that Atlanta's "toys" are just the beginning to building a better city at the CENTER FOR CIVIC INNOVATION. THE NIGHTOWLS record at Fame Studios to make sure soul music stays alive for a new generation." 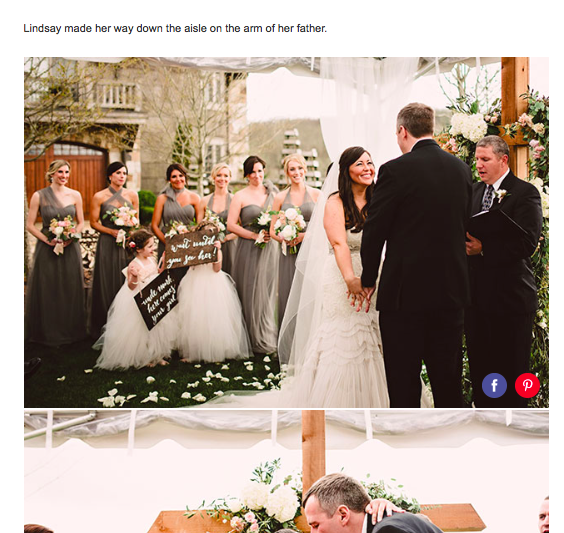 Brides Online - Nov 5, 2015 - Julie's handcrafted and painted wedding signs were featured on BRIDES. You can read the article here. Creative Loafing - Oct 2015 - Julie was featured inCreative Loafing Atlanta Food Issue! Click the images below ( or here) to read her full interview about food, edible inspiration, and popsicles. Living INTOWN Magazine - Aug 2015 - Julie's Dogwood Blooms Mural was featured in the Special Atlanta BeltLine Issue of the AJC's Living INTOWN. You can see the online article here with Julie's mural and the full magazine here. 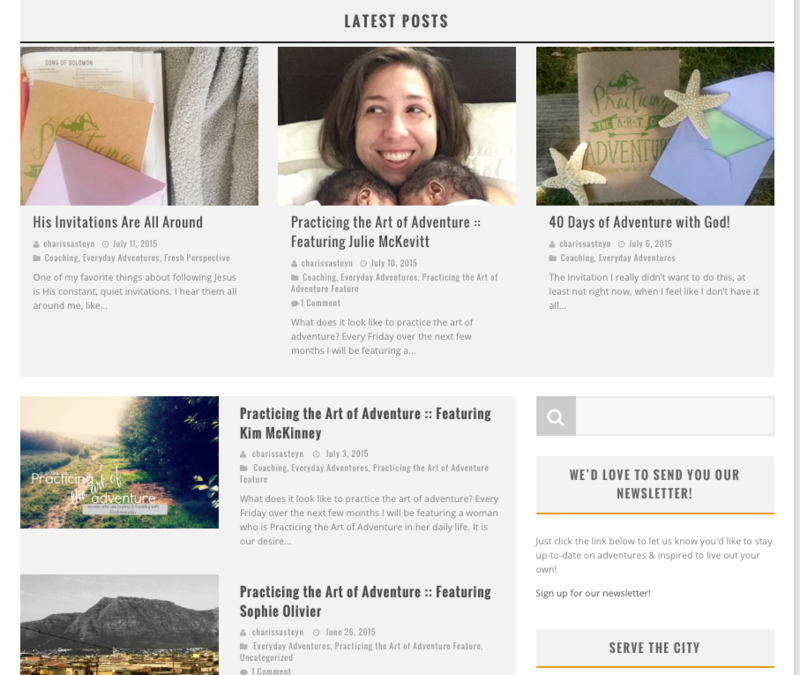 Steyn Family Adventures Blog - July 10 2015 - An in-depth and transparent interview with Julie, where she shares about her adventures with art, family, and trusting in God. Click here or on the images to read Julie's interview. Gospel Driven Entrepreneur - Mar 16 2015 - Julie was invited to speak on the Gospel Driven Entrepreneur Podcast. Since her interview went live it has been downloaded over 2,000 times. Listen to Julie talk art, starting two businesses, and God's unfailing faithfulness in the episode "48: Julie McKevitt: Art, Seeing God, & The Entrepreneurial Journey." Atlanta BeltLine, Inc. 2014 Annual Report - Released Spring 2015 - Julie's mural "Dogwood Blooms" was featured on pages 38-39 of The Atlanta BeltLine, Inc.'s 2014 Annual Report. Focus Atlanta - Dec 10 2014 - Julie was a guest on the local CW show Focus Atlanta with host Keisha Lancelin, CW 69’s Director of Public Affairs. Episode Description: "The Atlanta BeltLine brings the community green space, parks, recreation, art and culture. We had the pleasure of meeting featured artist Julie Ann McKevitt. We discussed her mural, Art on the BeltLine opportunities and how she has been embraced by the neighborhood. We also learned about Music in the Park; a non profit organization that brings music to the streets through children and seniors as well as beginners and pros. Take a tour today and fall in love with the Atlanta BeltLine." Art on the Atlanta BeltLine - Nov 5 2014 - Julie was one of Art on the Atlanta BeltLine's selected artists to be featured on film for the 2014 season. Video Description: "Artist Julie Ann McKevitt painted a mural under Westview Drive for Art on the Atlanta BeltLine. Hear from Julie Ann about what painting for Art on the Atlanta BeltLine meant to her and how the community in southwest Atlanta made it an experience to remember." City of Decatur Focus - June 2014 - Julie's official City of Decatur Postcard was featured on page 12 of City of Decatur Focus' June 2014 Issue.